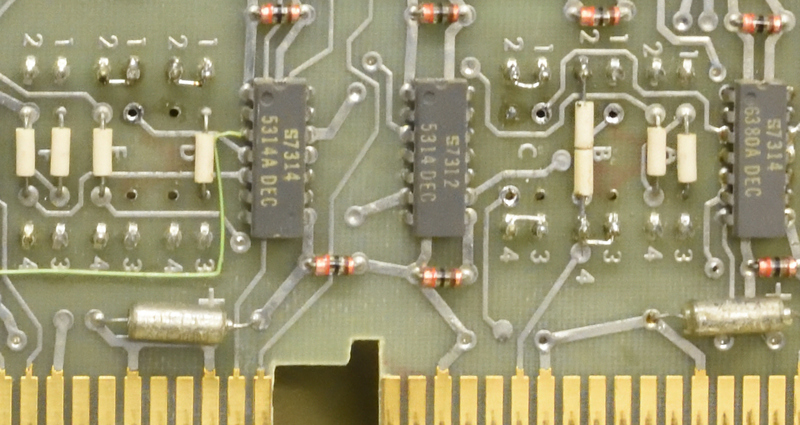 There are basically two single port serial cards for use with PDP-8 omnibus, KL8E and KL8-JA The first is built with logic gates only and the other one is built around and integrated UART. The first one can has less configurable options but allows higher speeds. The card can be configured for 115200 bauds and one stop bit. 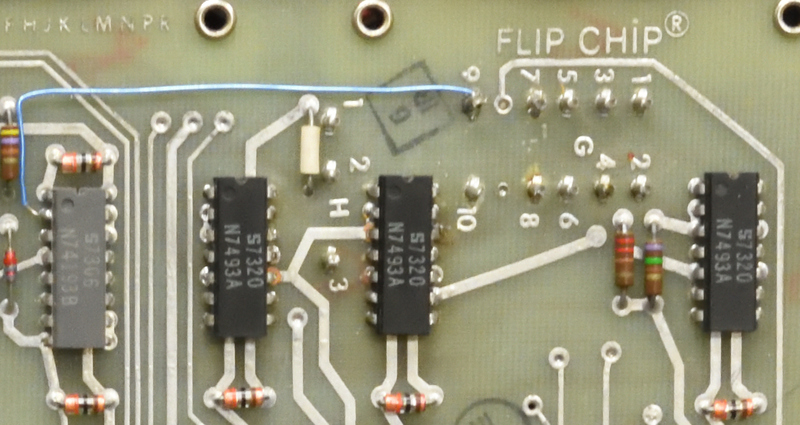 First thing is to remove the previous configuration by desolder any jumpers in position "G". Then a cable should be soldered onto pin 2 on E22 which is a 74193 "Synchronous 4-Bit Binary Counter" to pin 9 at the "G" position. By doing this a higher frequency is feed into the baud generator circuitry. 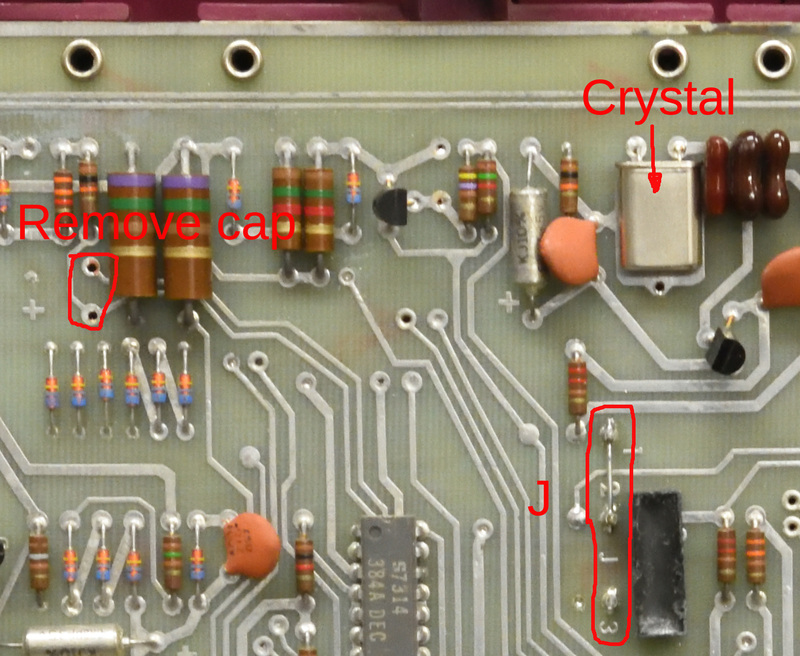 To get the 115200 a 19.6608*115200/153600=14,7456 MHz crystal must be used. The easiest is just to remove the filter capacitor for this high baud rate. Then make sure that position "J" has a wire mounted between 1&2, this means 1 stop bit. 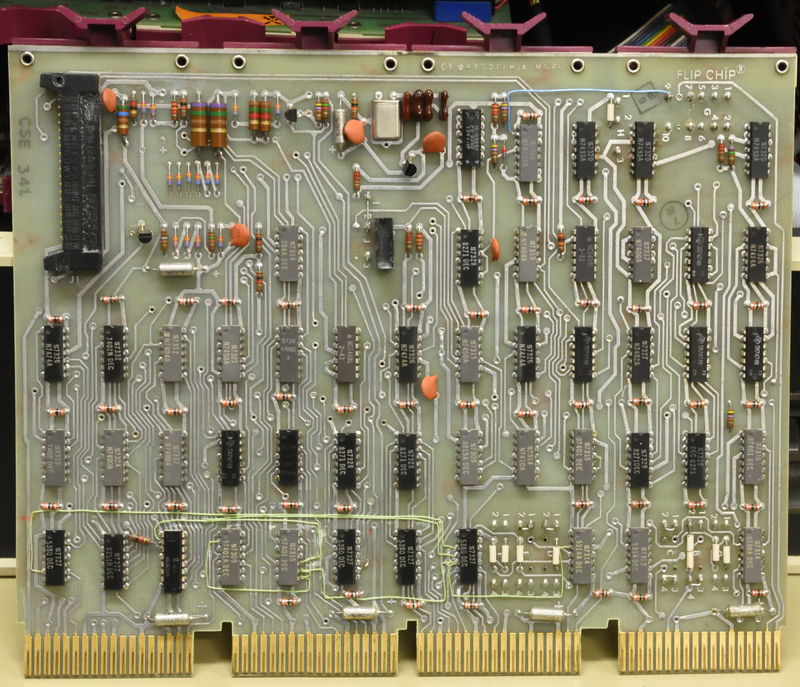 If the card has been used with a TTY the baud rate has been configured for 110 bauds and two stop bits. Also change the crystal. Hint: Configure serialdisk to use two stopbits on the serverside, this makes it more stable. Last, for using the standard setup for serialdisk, the serial port should use device address 40/41. Solder the jumpers like the picture below to archive that.